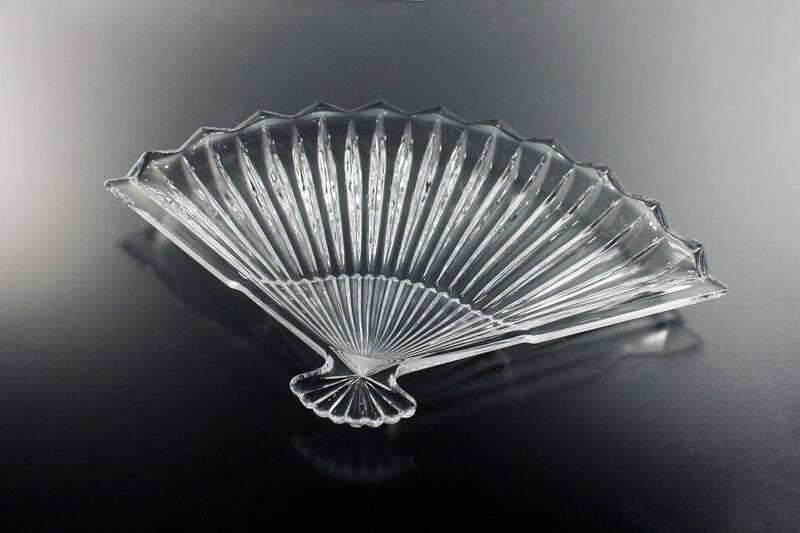 A lovely pressed glass fan-shaped tray. 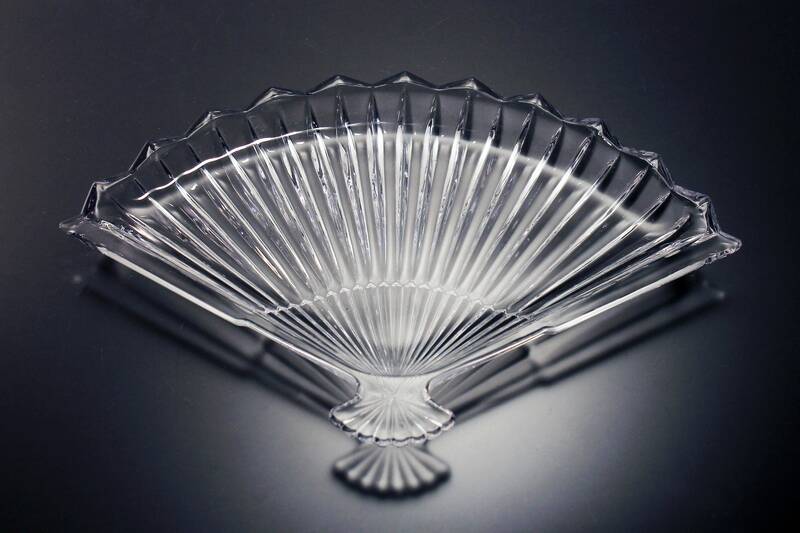 It is clear glass in a ribbed pattern. 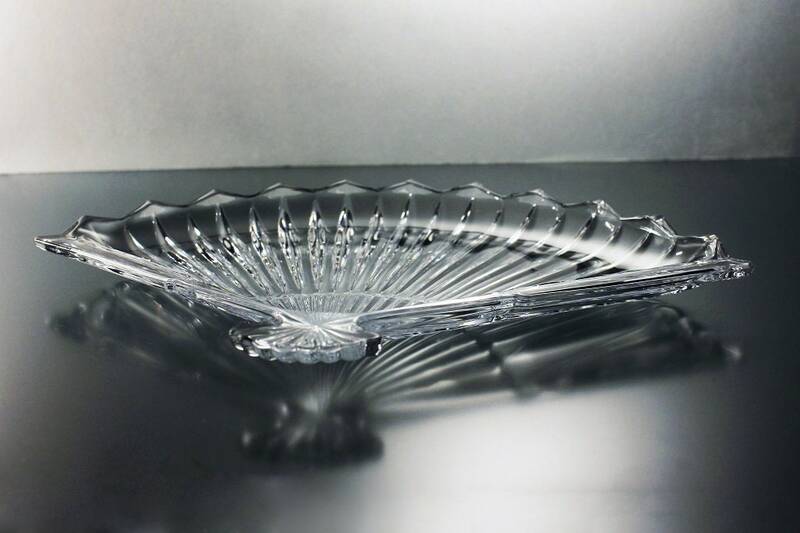 It would make a wonderful decorative tray for your dresser or vanity. 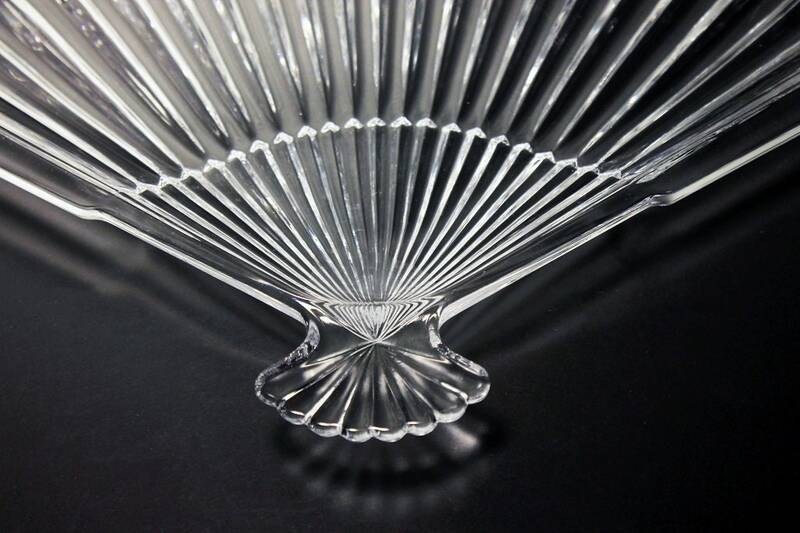 This adorable fan would be a great trinket, candy dish or serving tray. 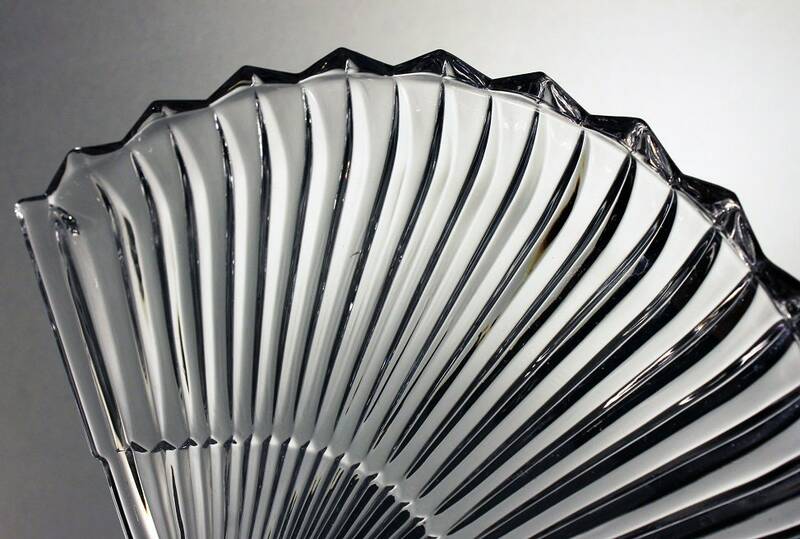 This fan is in excellent condition. 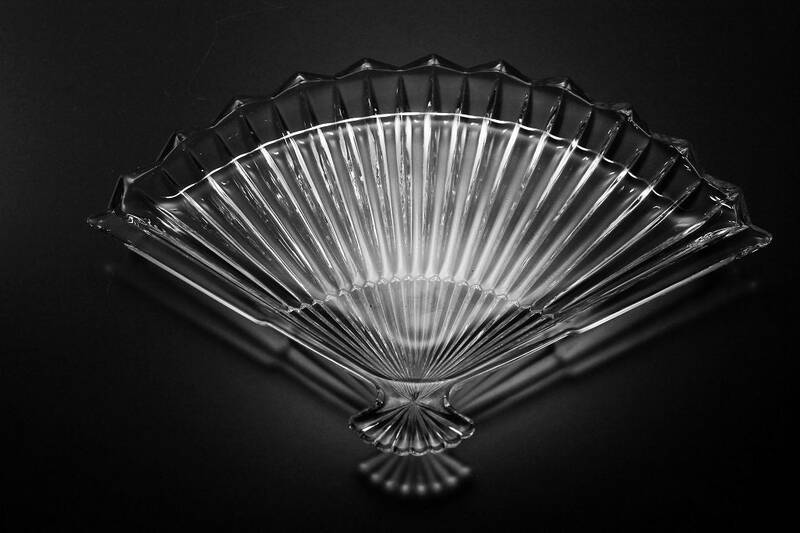 There are no chips, cracks, or utensil marks. 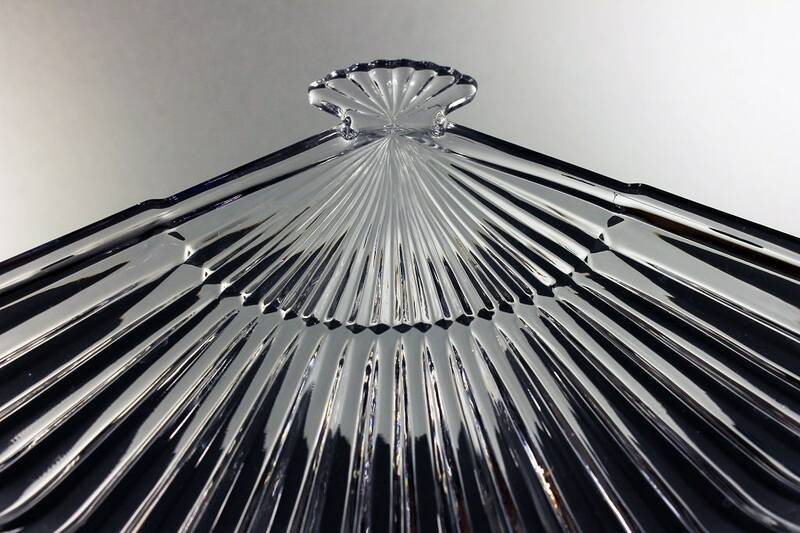 What a marvelous gift this would make for a wedding, housewarming, birthday, special occasion or holiday.